Nine years ago, Brenda Coleman was diagnosed with a severe and progressive form of chronic obstructive pulmonary disease or COPD. In order to survive, Brenda needs a lifesaving lung transplant or her time will quickly run out. Brenda is a loving and grateful woman, who grew up in Portsmouth, Virginia and was a longstanding member of her local Baptist Church for many years. She graduated from Woodrow Wilson High School and upon graduation went on to beauty school. After beauty school she later became a hair dresser, where she worked hard to support her family for over 48-years. Brenda was always active prior to her diagnoses of COPD — she loved being outdoors which she can no longer do. With new lungs through a transplant, Brenda will have a better quality of life and can enjoy her three grandchildren, ages 13, 10 and 4. As a result of her COPD, Brenda was forced to retire and is now unable to work. She is in need of around-the-clock oxygen and her condition continues to deteriorate. 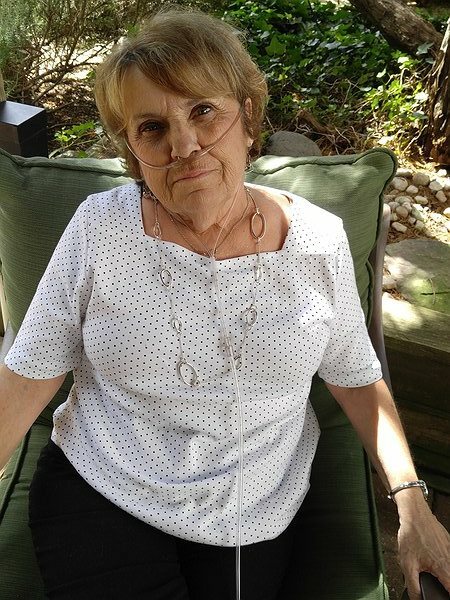 After extensive medical testing, Brenda is on the active waiting list for a lung transplant at Duke University Hospital. Brenda is required to relocate to North Carolina to be closer to the hospital for six to nine months. Relocation will cost thousands of dollars, and health insurance will not cover any of these expenses. Brenda is also facing very high out-of-pocket costs including co-pays and deductibles, lab testing fees, a caregiver, insurance premiums, and the cost of living. She will soon be required to take costly, post-transplant medications to halt rejection that are needed for the rest of her life. These out-of-pocket expenses will be $30,000 and Brenda cannot afford this alone! To help with the financial burden of Brenda’s uninsured expenses, a fundraising campaign in her name has been established with Help Hope Live, a trusted nonprofit organization that has been providing community-based fundraising guidance to patients and their families for more than 30 years. All donations are tax deductible to the full extent allowed by law, are held by Help Hope Live in the South-Atlantic Lung Transplant Fund, and are administered by Help Hope Live for transplant-related expenses only. To make a donation to this fundraising campaign, please click on the yellow DONATE NOW button. For more information, please contact Help Hope Live at 800.642.8399. Brenda, Just want you to know you are in my thoughts and prayers. I know you can do this, you are a strong and determined woman. You've got this girl!! You have so many people in your corner. May God bless you and watch over you during this journey. We miss seeing you every Wednesday at the beauty shop. We love you and you are always in our prayers. We will be praying for you Mrs Brenda. Praying for you.You are always in my thoughts and in my prayers.I love you girl. Brenda, you have always been wonderful to my family. Your generosity has not gone unnoticed. Be strong. You will be back on your feet really soon. Praying for you. Hi Brenda, was surprised when I called for a hair appointment and heard your message! Thinking of you and praying for you everyday, stay strong! You gave all 4 of our boys their first haircuts, they nor I will ever forget that! You can do this!!!! Brenda, I had no idea! Please take care and try to hang tough. You will be in my thoughts and prayers. Brenda praying for Gods strength to help you through this. Love you girl. You know I am giving and praying each day. Remember you are a child of Jesus Christ and he is the great physician, the great "I am". Love you and always here for you.